Last week we delivered a letter to Amber Rudd MP at the Home Office with Lord Alf Dubs, Baroness Shas Sheehan, Elizabeth Butler-Sloss, Baroness Butler-Sloss and our partners Refugee Rights Data Project. The letter garnered the support of a remarkable 150 MPs, Peers, NGOs and public figures. Together we demand urgent action to be taken about the child refugees stuck in Calais and Greece who could fill the nearly 300 spaces left unfilled under the Dubs Amendment. You can find the letter and signatories below. 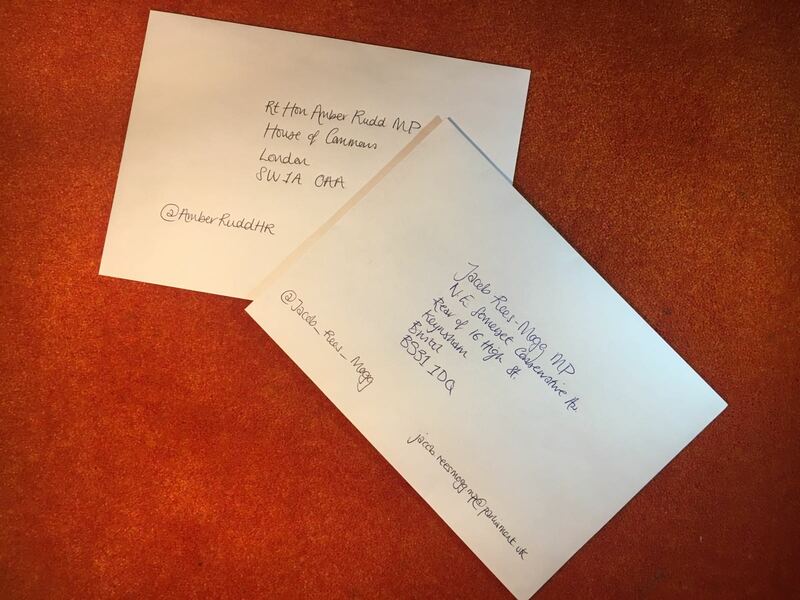 We, the undersigned, are writing to you Secretary of State for the Home Department to ask you to continue Britain’s proud tradition of welcoming child refugees and ensure that all the ‘Dubs’ places are now filled and children are transferred to Britain without further delay. In light of the current detrimental situation in Calais, a continued commitment by our Government to its legal obligation to fulfil the ‘Dubs’ Amendment appears to be more important than ever. The previous transfer of 200 children in 2016 proves that our Home Office and our Government are able and willing to follow a proud tradition of being a safe haven for child refugees since the Kindertransport in the Second World War, allowing them to find safety in the UK without risking their lives. Knowing that at least four children lost their lives last year at our border in Calais before the Amendment was implemented is heartbreaking and we cannot let this happen again. We are writing to ask that you ensure further safe transfers to the UK as swiftly as possible to fill the 480 capacity, and to urge the Government to provide swift access to family reunion so that children do not have to risk their lives to reach protection and their families. The Home Office must act on their existing legal obligation and honour promises made to children under the Dubs Amendment. Family reunion for unaccompanied children in Europe with family in Britain (under the ‘Dublin III’ regulation) be accelerated – children are currently waiting many months to access this safe and legal route, leaving many to risk their lives in the hands of smugglers and traffickers, simply to reach family. Involvement in anti-exploitation and anti-trafficking efforts in Northern France be renewed and reinforced; due to the high level of vulnerability of child and some adult refugees in the region, the UK has a duty to safeguard refugees from the dangers posed by exploitative criminal networks before they reach the UK, as well as actively identify both potential victims and perpetrators. We recognise the leadership role Britain has played in coordinating aid to countries with large refugee populations and in resettling refugees directly from the region, however we strongly believe we should also do our bit to support some of the most vulnerable child refugees who have already arrived in Europe. On the eve of the Second World War, Britain gave sanctuary to some 10,000 unaccompanied child refugees in Europe fleeing Nazi persecution through the Kindertransport. One of these children was Lord Alf Dubs; his amendment – Section 67 – continues this proud tradition of offering protection to some of the most vulnerable child refugees in Europe. We ask you to stand up now for that tradition.